Studio Artour artist Jessica Prill will be featured on PBS show called “Lets Go Minnesota” in August. The series focuses on an outdoor adventure with an artist. The artist then creates a piece of work in their medium that was inspired by their adventure. 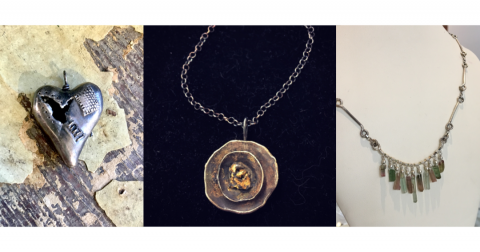 Jessica biked the shooting star trail in southern Minnesota and then did a jewelry series inspired by it. It will air Saturday, August 4, 5:30 p.m.; Sunday, August 5, 12 noon; and Tuesday, August 7, 7 p.m.
Once it’s aired, it will live on KSMQ.org under the Let’s Go, Minnesota!